Darden North’s mystery and thriller novels have been awarded nationally, most notably an IPPY in Southern Fiction for Points of Origin. His fifth novel, The 5 Manners of Death, also follows Wiggle Room, Fresh Frozen, and House Call and was nominated for the 2018 Mississippi Institute of Arts and Letters (MIAL) Award in Fiction. Darden has presented or served on author panels at writing conferences including the 29th Natchez Literary and Cinema Celebration, Killer Nashville, Murder on the Menu, SIBA Thriller Panel, and Murder in the Magic City. A board-certified obstetrician-gynecologist and daVinci Robotic Surgeon practicing at Jackson Healthcare for Women in Flowood, Mississippi, Darden North is Chairman of the Board of the Mississippi Public Broadcasting Foundation and a member of the Editorial Board of the Journal of the Mississippi Medical Association. He lives in Jackson with his wife Sally and enjoys family, travel, and outdoor activities. The Norths have two adult children, William and Anderson, who also work in the medical field. Dr. Diana Bratton is a surgeon surrounded by bodies. When her Aunt Phoebe is linked to a decades old homicide, Diana is torn between pursuing her Aunt Phoebe’s innocence and accepting police theory that her aunt may be involved in multiple murders. Diana steals precious time from her young daughter, her surgical practice, and her hopes for renewed romance to clear Phoebe’s name. 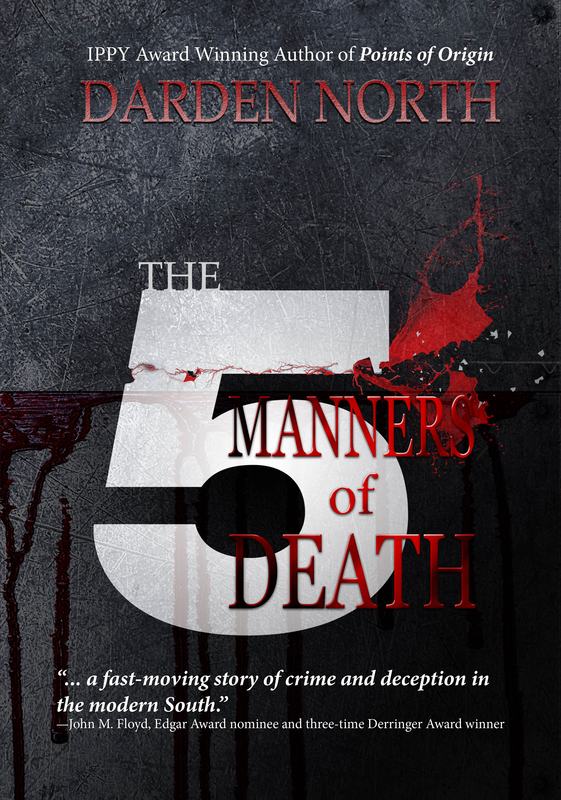 But as the truth emerges, Diana discovers that of the five manners of death, homicide is a family secret. One of the best things about The 5 Manners of Death—and there are many—is that none of the characters are who they appear to be. If you like plot twists and surprises, you’ll love North’s fifth novel, a fast-moving story of crime and deception in the modern South.